It’s been a rough year for calving this year. The weather has been miserably cold and it makes for some long days checking on the herd to make sure everyone is OK. Our momma cows are pretty awesome. 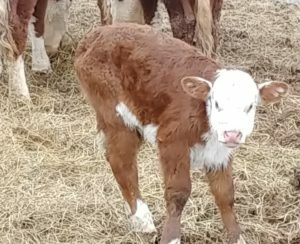 It’s amazing how they can calve in such cold weather, clean the babies up, give them their first meal and get them on their feet in 15 minutes or so of birth! On top of that, they manage to tuck them somewhere away from the wind and keep them warm.